Tresor Records is fortunate enough to be sitting on a catalogue of past releases that no other label in electronic music would turn down. Three of the finest in this collection were albums contributed by Surgeon, Basictonalvocabulary, Balance and Force + Form all originally came out on the Berlin institution between 1997 and 1999. Surgeon‘s inimitable combination of Detroit techno and post-industrial sounds emanating from his British homeland found its fullest expression in these masterful trio of releases on Tresor. 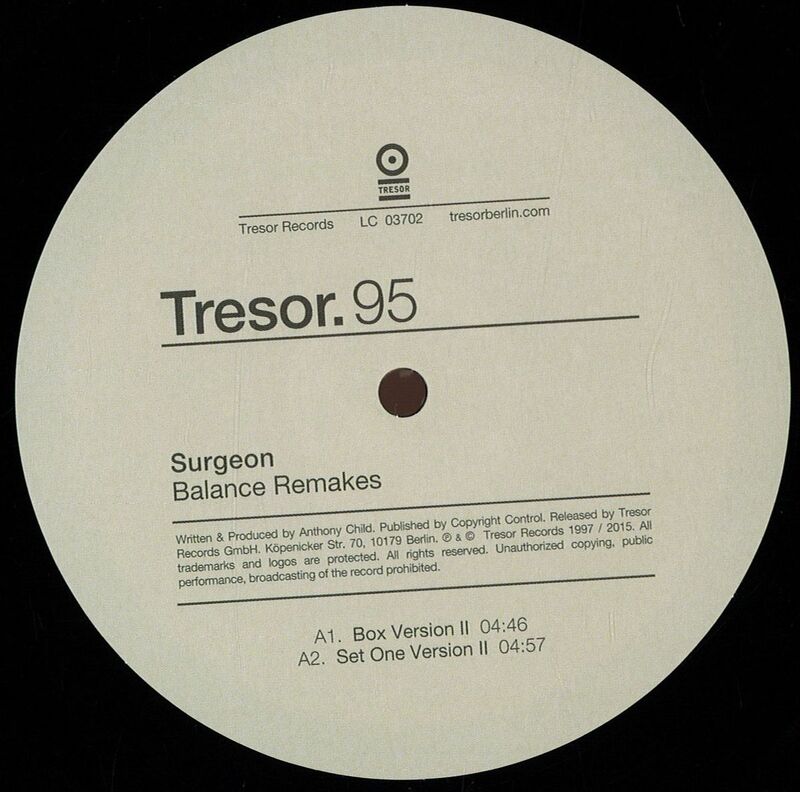 The Balance Remakes 12′ accompanied Surgeon‘s second Tresor album in 1998, with additional versions as well as a remix by long-time Birmingham collaborator Mick Harris.